An immunity from seizure bill makes museums havens for stolen art? On March 25, backed by the art trade lobby, Republican Congressman Steve Chabot reintroduced the Foreign Cultural Exchange Jurisdictional Immunity Clarification Act to the House of Representatives. On its face, HR 4292 asks Congress to “clarify” a small section of the the law. But in truth, the bill goes far beyond mere clarification. It would instead undo established US law and policy by allowing American cultural institutions to block legal claims to artwork on loan from abroad. Museums would knowingly be able to exhibit stolen and looted art and antiquities. It would leave the rightful owners without any legal recourse to recover their property in US courts. This bill is just the latest attempt by the less responsible players in the art market to weaken US law. American legal principles have long held that a thief cannot transfer good title. The receipt, possession, and transport of stolen property is a crime. US legislation has carved out a narrow exception to prevent the judicial seizure of art imported for exhibition, but only in very limited circumstances, which it clearly enumerates. HR 4292 would greatly expand this exception by divesting our courts of all jurisdiction over such objects. Those are strong statements. And it must be said that the text of the proposed bill, at least by my reading, seems to do just the opposite. 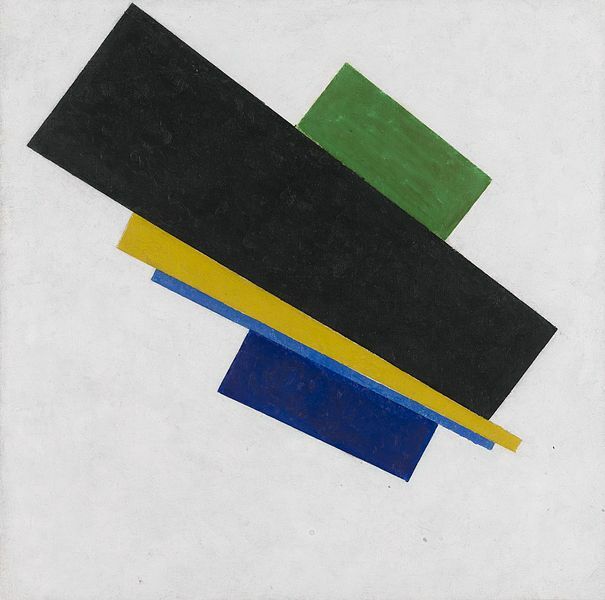 It makes it easier for Nazi-era claimants to pursue claims against possessors who send their art on temporary exhibition to the U.S.
. City of Amsterdam, which saw heirs of Malevich bringing suit against Amsterdam in federal court in Washington D.C. Since 1965 the Exemption from Judicial Seizure of Cultural Objects Imported for Temporary Exhibition act grants immunity for temporary exhibitions for material being brought into the U.S. if the loan is in the national interest, and the objects are of cultural significance. Rick St. Hilaire and others have supported this clarification. And on its face the clarification seems necessary. Perhaps what Masurovsky and Davis really want is an end to all art immunizations—but they don’t really come out and say that. Instead they accuse Americn Museums of knowingly exhibiting and gathering stolen art. Though there are certainly examples of this on the extreme margins, the examples that the authors use both cut against their underlying position. The Portrait of Wally litigation never involved Federal immunity, only New York State immunity. And the Koh Ker material was not loaned to the United States, it was acquired or up for auction, and the Federal Prosecutors initiated forfeiture actions. I am not a provenance researcher, and I am not familiar with how in-depth the State Department grants of immunity checks are, but it seems to me the authors have exaggerated their position. Perhaps I’m missing something, but I don’t see any example of any museum in North America being able to knowingly exhibit stolen material. Author Derek FinchamPosted on May 2, 2014 May 2, 2014 Categories Art Law, ForfeitureTags Cambodia, Immunity from Seizure Act (ISA), Koh Ker, Nazi Spoliation, Portrait of Wally2 Comments on An immunity from seizure bill makes museums havens for stolen art? As museums are encountering stricter restrictions for acquiring art, and as budgets for new acquisitions are tighter, many museums are looking to temporary loan agreements to augment their permanent collections. Immunizing this art from a potential suit has been an important step lenders have asked states to provide them. But this immunity is not without critics. I caught up with Nout van Woudenberg and asked him a little bit about his new book, ‘State Immunity and Cultural Objects on Loan’. He is an external researcher at the University of Amsterdam and Legal Counsel at the International Law Division of the Ministry of Foreign Affairs of the Kingdom of the Netherlands. Setting down to write, what was your aim with ‘State Immunity and Cultural Objects on Loan’? Some years ago, it occurred to me that it was not clear whether States actually knew what the current state of affairs was with regard to immunity from seizure of cultural objects belonging to foreign States while on loan abroad. In 2004 the convention on jurisdictional immunities of States and their property had been established under auspices of the United Nations, addressing, among other things, immunity for cultural State property on loan. But that convention has not yet entered into force. I thus considered it necessary to investigate whether another rule of international law was already applicable: a rule of customary international law. After all, that rule would be binding upon States, without necessarily becoming a party to a convention. And so I did: I investigated whether a rule of customary international law exists, to the effect that cultural objects belonging to foreign States are immune from seizure while on loan to another State for a temporary exhibition. And if such a rule does not yet exist, is it emerging? And if such a rule does exist, what are its limitations? It is my aim that my study, and consequently this book, can provide more clarity and legal certainty in the field of lending and borrowing cultural State property. But there is more: the book describes the national legislation of States, reflects opinions of States, lists what kind of guarantees States are likely to give, provides academic views, and so on. I thus hope not only to bring clarity in the field of international law, but also hope that this book is considered to have a certain encyclopedic value in regard to relevant State practice. When did nations first start asking for immunity for their art? How have the reasons for granting this immunity changed, if at all? It is my impression that the very first request came from the former Soviet Union in the middle of the 1960s. The catalyst was an imminent exchange between a Soviet museum and the University of Richmond, US, in which the latter sought to import several cultural objects that had been expropriated by the Soviet Government from art collectors. The Soviet Union asked for a grant of immunity from seizure, as protection against former Soviet citizens claiming title to the cultural objects, a condition of the loan. As a result of the immunity from seizure request, the United States was the first country to introduce immunity from seizure legislation in 1965. Since then, the issue of immunity from seizure for travelling cultural objects has become more and more a concern for States and museums. This is mainly due to an increasing number of legal disputes over the ownership of cultural objects, particularly as a result of claims made by heirs to those objects expropriated by Communist regimes in Eastern Europe as well as Holocaust-related claims. But there may be disputes other than ownership disputes which result in attempts to seize a cultural object, and that phenomenon is more recent: for instance when an individual or a company is of the opinion that the owner of the cultural object on loan owes a debt (not necessarily related to the cultural object) to the claimant, and this claimant has concerns regarding the enforcement of a judgment or arbitration award in the State of residence of the owner. An example is the 2005 Noga case in Switzerland, where the company Noga asserted that it was a creditor of the Russian Federation, and the 2011 Diag Human case in Austria, where the company Diag Human argued that it was a creditor of the Czech Republic. One last remark in regard to your question: one might wonder whether we need to speak about granting immunity. After all, in the Swiss Noga case, and the Austrian Diag Human case, the Swiss federal authorities and the Viennese court respectively, have ordered that on the basis of customary international law, the cultural State property on loan was immune from seizure. Many other States are of this opinion as well, as I show in my book. They sometimes count on the general rule of customary international law that State property in use or intended for use for government non-commercial purposes is immune from measures of constraint, but a considerable number of States also count on the existence of a specific rule of international law immunizing cultural State property on loan. If this line is to be followed, there is no situation of granting immunity (actively doing something), but the immunity from seizure merely applies. The cover of your book uses Portrait of Wally a painting which was granted immunity in New York State court but was eventually seized in Federal Court by US Attorneys. What is your reaction to the result in that case? First of all, I would like to thank the Leopold Museum in Vienna to allow me to use this image for the cover of my book. Now in regard to the case: the fact that the case lasted approximately twelve years, in combination with the fact that the case and the judgment went back and forth several times, gives sufficient indication for stating that it regarded a complex and not very clear-cut case. Although it regarded a painting seemingly forcibly sold by Lea Bondi at the beginning of WW II, the US court case focused very much on the question of what Dr. Leopold knew or ought to know when he acquired the painting in 1954. In the end, it came to an amicable settlement, and that should be applauded and respected. We now may be able to say that both the Museum and the Bondi Estate are “winners” as they came to terms with each other. However, the fact that the case lasted that long, and that the outcome went back and forth repeatedly, is not very helpful in promoting the certainty which is necessary in the field of international art loans. Also the Museum as well as the Bondi Estate had to go through a lot during these years of litigation. What are your thoughts on immunity generally? Is it a useful tool to allow for the movement of art? Absolutely. But let me limit myself to immunity for cultural State property on loan. Basically, the reason for providing cultural objects with immunity from seizure is to prevent cultural objects on loan from being used as ‘hostages’ in trade and/or ownership disputes. Immunity from seizure can serve as a means to overcome the reluctance of lenders to send their cultural objects temporarily abroad. We also have to keep in mind that many States have committed themselves through international legal instruments to supporting the exchange of cultural objects. It can be said that nowadays there is a well-established and universally shared interest to protect and enhance the international cooperation of museums and other cultural institutions. Moreover, in the literature, links have been made between cultural objects and diplomatic relations: international art loans can symbolize and foster these diplomatic relations. Cultural objects can break the ice of misunderstandings and can be the first steps in new bilateral ties. They are sometimes referred to as ‘good will ambassadors’. Immunity from seizure facilitates inter-State art loans. That background may serve as a proper explanation why immunity from seizure for cultural State property on loan is understandable. In relation to this, I would also like to refer to the UN Convention on Jurisdictional Immunities of States and Their Property. On 2 December 2004, the UN General Assembly adopted the convention by consensus. It has not entered into force yet, but a considerable number of States consider the convention as a reflection of customary international law. Part IV of the 2004 UN Convention regards State immunity from seizure. It provides in general, but subject to certain limitations, for the immunity of a State from all forms of seizure in respect of its property or property in its possession or control. This part of the convention also contains an article where State property is listed which shall not be considered as commercial property. Consequently, this property is immune from seizure (unless the State to which the property belongs has explicitly consented to seizure or has allocated the property for the satisfaction of the connected claim). The relevant article, Article 21, aims to secure the protection for certain specific categories of property. One of the five categories of property reads “property forming part of an exhibition of objects of scientific, cultural or historical interest and not placed or intended to be placed on sale.” State-owned exhibits for industrial or commercial purposes are not covered by this category. It should be borne in mind that the gist of Article 21, and especially the cultural category, has neither been disputed during the negotiations. In my view, the fact that cultural objects can be important for the identity of a State, the fact that cultural objects may help to understand the culture, history and development of a State, as well as the fact that cultural objects can be used as a means in the promotion of international cultural exchanges (codified in several international agreements) and the strengthening of bilateral or multilateral diplomatic relations, makes it fair to consider these cultural objects on loan as a category of protected State property. Consequently, I do not consider it awkward to mention cultural State property on loan in one breath with one of those ‘classical’ categories of protected objects, such as military property, diplomatic property or property of the central bank of a State (and that is exactly what the 2004 UN Convention did). What are the biggest problems you have found with respect to immunized art? Are there reforms you can suggest? In regard to immunity from seizure for cultural State property on loan, important questions are: “what is a State?” and “what is to be considered as State property?” Answering these questions is not always easy. Different national and international legal instruments each follow their own approach in regard to the definition of a State. It can also depend on the acts performed by an agency or instrumentality of a State whether or not it falls under the definition of a State (or whether or not it enjoys the same immunity as the State). In practice, this can mean that it is up to national courts to consider whether in an actual situation an organ or entity can be identified as falling under the definition of a State. In most jurisdictions, a State museum will not fall under the definition of a State. However, that does not mean that the cultural objects housed in that State museum are subject to seizure by definition. Immunized State property would be broader than solely property that is owned by a State. Under the aforementioned 2004 UN Convention, property owned by the State and property in its possession or control would most likely be covered by the immunity provisions, although the exact scope has not yet been determined in practice. Although there is no specific definition of State property in the 2004 UN Convention, I come to this conclusion based on the history of negotiations and the reports of the International Law Commission. Generally speaking, based on my investigation, it would be fair to say that in any case property that is State-owned or of which the State serves as a custodian or has a right of disposal would fall under the immunity. And here we come to the second part of your question: the fact that immunity from seizure does not only apply to cultural objects on loan owned by a State, but also to objects possessed or controlled by a State, can make the application of the rule in practice somewhat complicated; it may be necessary to determine on a case by case basis whether a cultural institution should be considered as falling under the notion of a State (which will mostly not be the case), and whether in the actual situation it is the State which either owns, possesses or controls the objects concerned. As a result, it may be possible that loans between lending and borrowing institutions have to be considered differently, with regard to possible immunity. After all, a cultural institution can house objects which are owned by a State, a State may be able to exercise control over other objects, and some objects may not have a link with the State at all. A future global convention on immunity from seizure for all kinds of cultural property on loan, regardless whether it regards State property or private property, may solve such a situation. The International Law Association is currently assessing whether such a convention may possibly be viable, however, the assessment is still in its embryonic stage (the underlying discussion paper has been prepared by Prof. Th. M. de Boer and me). A convention like that may provide more legal security, but also raises new questions such as a possible overlap or discrepancy with the 2004 UN Convention. Many in the United States are hesitant to offer an opinion on immunity, particularly with respect to a proposed clarification to current U.S. practice moving through the U.S. Congress. I think this may be because immunity has increasingly been conflated with preventing justice. Do you think immunity prevents claimants from achieving a just result for their claim to a work of art? It occurred to me that several pending cases before a US court regard cultural property which is not on loan in the US, but is, and has been, in the ‘State of origin’. To name a few cases of past and present: the Altmann case, the Cassirer case, the Herzog case and the Popper case. Here we are not talking about immunity from seizure, but immunity from jurisdiction. And also in the Malewicz case, plaintiffs did not try to seize the cultural objects which were on loan to two US museums. The question what a ‘just result’ may be, will be answered differently by different people. But I have to sympathize with a Statement of Interest of the US in the Malewicz case. The heirs were there, in the view of the US authorities, “using the window of opportunity afforded by the Malewicz exhibition[s] as the jurisdictional hook for their claims”. The Executive Branch stated: “if jurisdiction over a sovereign lender could be established solely by virtue of introduction into the United States of an exhibit immunized under section 2459, foreign States would be far less likely to agree to share their artwork with the American public, undermining the principal objective of section 2459” and “a finding of no jurisdiction in this case would merely prevent claimants from transforming into a sword what was intended to be only a shield.” From the perspective of international art loans, I have to admit that, in general, I have difficulties to agree with the idea that the presence of the objects (for the purpose of exhibition) in the jurisdiction of the borrowing State might provide a jurisdictional hook enabling the court in the borrowing State to exercise jurisdiction over the acts of a lending State. Even more, as domestic remedies often have not been exhausted. In regard to immunity from seizure, I have to recall that on February 3rd, 2012, the International Court of Justice was not at all hesitant to offer an opinion on immunity; it confirmed in the case Germany v. Italy that State property with a government non-commercial purpose, is immune from immunity from seizure unless the State which owns the property has expressly consented to the taking of the seizure or that that State has allocated the property in question for the satisfaction of a judicial claim. Finally with regard to the current US draft legislation, which aims to make the relationship between the FSIA and the IFSA clearer: I do think that the content of this legislation confirms the main conclusions of my study: I come to the conclusion that indeed a relatively young rule of customary international law exists, although not yet firmly established or well defined in all its aspects, stating that cultural objects belonging to foreign States and on temporary loan for an exhibition are immune from seizure. However, an important remark needs to be made in that regard: in order to be considered as a rule of customary law, a rule needs to be based, among other things, on a widespread, representative and virtually uniform practice of States (as well as opinio juris). With regard to some categories of cultural State property, this wide, virtually uniform acceptance is absent. The most important category regards cultural objects plundered during armed conflict. Based on my study, I would say that, generally speaking, the main sentiment among States is that such objects should not deserve protection. Although not legally but certainly morally binding, many States subscribed to the 1998 Washington Principles on Holocaust Era Assets, the 2000 Vilnius Declaration on Holocaust Era Looted Cultural Assets and the 2009 Terezin Declaration on Holocaust Era Assets and Related Issues. Moreover, several States established Restitution or Spoliation Committees in order to restitute cultural objects to heirs of World War II victims. Also the draft legislation which is currently under assessment of the US Senate confirms the immunity for cultural property on loan, unless it regards cultural property illicitly taken during the Holocaust. 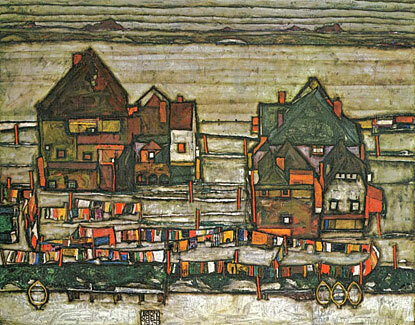 The Leopold Museum is selling an Egon Schiele painting, “Houses With Colorful Washing,” at a Sotheby’s (BID) auction on June 22. The cityscape is expected to fetch as much as $50 million, a record for the artist. The revenue will help to pay for “Wally,” a portrait by Schiele that was the subject of a decades-long restitution dispute. In July last year, the museum agreed to pay $19 million to the heirs of the Jewish art dealer Lea Bondi Jaray to keep the portrait, which was stolen by the Nazis in the 1930s. Last month, the Leopold Museum agreed to pay $5 million to the granddaughter of Jenny Steiner, a Jewish silk-factory owner, to keep in its collection “Houses by the Sea,” another Schiele painting that was stolen by the Nazis. Catherine Hickley & Zoe Scheenweiss, Vienna’s Leopold Settles With Heir on Nazi-Looted Paintings, Bloomberg, June 20, 2011, http://www.bloomberg.com/news/2011-06-20/vienna-s-leopold-settles-with-heir-on-nazi-looted-paintings.html (last visited Jun 21, 2011). The Leopold Museum in Vienna is deaccessioning a cityscape by Egon Schiele to raise the money to pay the settlement to the heirs of Lea Bondi Jaray over the disposition of Portrait of Wally. A 500 year-old Nuremberg Chronicle has appeared in Salt Lake, it had been gathering dust in an attic for decades, or so the undisclosed seller has claimed. One wonders if the actual story is a good deal more complicated. Motya is just four kilometres square, yet only five per cent has been excavated to date. Archaeological investigations collapsed in 1987 owing to Mafia complicity in pilfering antiquities. In the nearby Sicilian town of Marsala (famous for its fortified wine) a small museum nevertheless displays artefacts. Marsla is incidentally named after the Arab Mars al Allah, “Harbour of God”, after the Saracen invasion of the western Mediterranean in 831. Here’s a list on which most Egyptologists agree: Consult with local and international agencies and specialists to develop and implement long-term management plans. Train on-site inspectors and give them greater responsibility. Design better security for sites and museums. Allocate more money for site conservation and documentation. Take a strong stand against commercial and political interests that threaten the monuments. The St. Louis Art Museum (SLAM) has sued the federal government to preclude it from initiating a forfeiture claim against the Ka-Nefer-Nefer mask. The museum was approached in January by several U.S. attorneys in January, who indicated an intention to bring a forfeiture action against the mask. Civil forfeiture was the legal mechanism under which the Portrait of Wally litigation and subsequent settlement emerged. It is a powerful tool for claimants, which uses the resources of the federal government, and a favorable burden of proof, to pursue claims for objects which may have been looted or stolen. “Maarten Raven, a Dutch archaeologist, saw the mask in the Saqqara and is VERY positive that the mask in the SLAM [Museum] is the same as . . .the one stolen in Saqqara . . . . The SLAM argues in the complaint that the relevant U.S. government officials had knowledge of the potential claim over five years ago, and the five-year statute of limitations period has expired under 19 U.S.C. § 1621. A court will decide whether these emails, and queries the Museum sent to INTERPOL in the 1990’s about the mask are sufficient to have given the U.S. government actual or constructive knowledge of the potential claim. The Museum seeks a declaratory judgment under the Tariff Act that the action is barred by the statute of limitations. Even if successful, this suit would only preclude a suit by the U.S. government. It would not bless the circumstances surrounding the acquisition of the mask. The mask was acquired in 1998 by SLAM from Phoenix Ancient Art for a reported $500,000. The Museum has attempted to demonstrate its diligence in a number of ways when it acquired the mask. It sent a letter to Mohammed Saleh, the retired director of the Cairo Museum asking about the mask or the existence of similar objects. The Museum contacted the Art Loss Register, INTERPOL, and the International Federation of Art Research. The Museum also sent a letter to the Missouri Highway Patrol requesting a search of the Interpol database. So these are efforts to look at the history of the object, but certainly are not the best efforts. The Museum did not contact the Supreme Council of Antiquities or the Culture Ministry. The SLAM has told the public and Egypt that they would return the mask to Egypt if they were presented evidence that the mask was looted or stolen, yet Egypt has not presented this evidence. 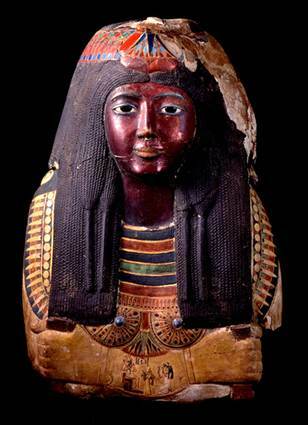 We know that the mask was acquired by the Museum in 1998, and was excavated in 1952. Both Egypt and the Museum have very different versions of the subsequent history of the mask. We are not certain what happened in the intervening years. But given what we know about the antiquities trade we have strong suspicions. The Museum argues the U.S. government has waited too long to pursue its claims that the object was stolen. Joe Harris, Museum Sues USA Over Mummy Mask, Courthouse News Service, February 16, 2011, http://www.courthousenews.com/2011/02/16/34223.htm (last visited Feb 16, 2011). Jennifer Mann, Art museum sues to keep Egyptian mummy mask, St. Louis Today, February 16, 2011, http://www.stltoday.com/news/local/crime-and-courts/article_6a5937bc-0ea6-50ca-94ab-aa45697af009.html (last visited Feb 16, 2011). A federal judge in Manhattan ruled that the U.S. government and the Leopold Museum in Vienna have enough evidence to possibly lay claim to the “Portrait of Wally.” The painting by Austrian expressionist Schiele in 1912 depicts his mistress and primary model. The U.S. government confiscated the painting when it was on loan from the Leopold, claiming the museum knew the painting had been stolen by a Nazi in 1939 from its Jewish owner, Lea Bondi. The Leopold sent more than 100 works by Schiele to New York’s Museum of Modern Art in 1997. Acting on information that two paintings had been looted in Austria during World War II, Manhattan District Attorney Robert Morgenthau seized “Portrait of Wally” and “Dead City” from the museum. And the work has been in storage ever since. Author Derek FinchamPosted on October 9, 2009 Categories UncategorizedTags Portrait of Wally, seizure2 Comments on Free Wally! An End in Sight to Portrait of Wally Forfeiture? Martha Lufkin of the art newspaper summarizes the nearly 10-year-long dispute between Federal prosecutors, the Bondi family and the Leopold Museum in Vienna. For past posts on the long-running dispute over this work see here. Judgement on a long-running lawsuit in New York, which helped launch a world outcry over Nazi-looted art at museums and prompted many institutions to begin examining their collections for history of Nazi theft, has been postponed to let the US government review new evidence. On 3 June the schedule was suspended on a case brought by the US government in 1999 to seek confiscation of Egon Schiele’s Portrait of Wally from the Leopold Museum in Vienna, under the US National Stolen Property Act. The US says the Leopold knew that the art was stolen by a Nazi in 1939 from its Jewish owner, Lea Bondi. The case, which the parties had asked the court to resolve without a trial, is before the federal district court in Manhattan. Author Derek FinchamPosted on January 5, 2009 Categories ForfeitureTags Art Theft, Egon Schiele, Forfeiture, Nazi Spoliation, Portrait of Wally1 Comment on An End in Sight to Portrait of Wally Forfeiture? Martha Lufkin has news of some movement in the Portrait of Wally civil forfeiture proceeding currently underway in Federal District Court in Manhattan. [Judgment] on a long-running lawsuit in New York which helped launch a world outcry over Nazi-looted art at museums and prompted many institutions to begin examining their collections for history of Nazi theft, has been postponed to let the US government review new evidence. On 3 June the schedule was suspended on a case brought by the US government in 1999 to seek confiscation of Egon Schiele’s Portrait of Wally from the Leopold Museum in Vienna, under the US National Stolen Property Act. The US says the Leopold knew that the art was stolen by a Nazi in 1939 from its Jewish owner, Lea Bondi. The case, which the parties had asked the court to resolve without a trial, is before the federal district court in Manhattan. It’s true that the Portrait of Wally dispute has probably caused some museums to re-examine their collections, but its also been pointed to as a risk to art loans and traveling exhibitions. It also puts a lot of power in the hands of prosecutors when they can use a forfeiture proceeding like this, as the government essentially brings suit against the object itself, with the benefit of far lower burdens of proof. Historically, federal prosecutors have intervened on behalf of source nations or claimants when they have potential claims. It’s a very useful thing for claimants to get this kind of assistance in these cases. I’m very interested to know what new information may be coming to light. My understanding of the facts in this case indicates its a difficult case for the prosecutors to prevail. Hopefully a resolution is pending, as the work has been in storage for nearly a decade now. BERLIN (AP) — A new office within Germany’s Institute for Museum Research is opening in January to help identify and research art stolen by the Nazis, Germany’s culture minister said Wednesday. The office, which comes under the State Museums of Berlin, will help museums, libraries and archives identify items that were taken from their rightful owners during the Nazi period, Culture Minister Bernd Neumann said. “I expect from this an important push in Germany in the clarifying of restitution questions,” he said. Neumann founded a working group to look into how to deal with restitution issues, after Berlin sparked controversy with a decision last year to return Ernst Ludwig Kirchner’s “Berlin Street Scene” to the heirs of a Jewish collector who said the Nazis forced the family to sell it in the 1930s. Some art experts questioned whether the expressionist work was sold under duress and whether its return was legal. With the new office, which has a $1.47 million annual budget, Neumann said he hoped the restitution process would be better coordinated and more transparent. This appears to be a good idea, and perhaps will preclude the need for private legal disputes when, for example, these works are displayed abroad as is the case with Schiele’s Portrait of Wally. Will this commission help to return works to claimants? Offer settlements? Or, will it instead merely warn German institutions that certain objects are suspect and should not be loaned abroad?